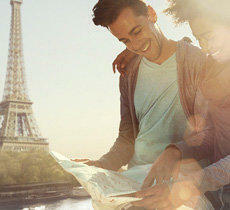 Join Europcar.com.cy to unlock Secret Deals and Latest Offers. Our customers mean everything to us and we want to treat you right. 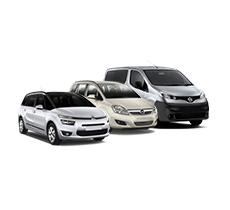 Europcar Cyprus guarantees that you will always get the best price possible for your car hire. Why not save even more by joining us on our journey? We cherish our customers at Europcar Cyprus. As a loyal customer, we offer you exclusive Secret Deals, the latest offers, and money-saving discounts as our way of saying thank you to our loyal customers. Let us treat you right. You can earn free weekend rentals, 10% discounts, priority collection and guaranteed bookings that save you time and are hassle-free, frequent traveler miles, exclusive benefits from our partners, and much more. These deals aren't offered to the public so make sure you aren't missing out. Just fill in your details and we'll make sure you never miss out on the benefits of a being a Loyal Customer. Signing up is free and easy to do. These deals are too big to be public. Why choose Europcar Cyprus for your Car Rental in Cyprus? With 60+ years experience in the car rental industry, we know what matters most to our customers. We continuously work towards improving our services without having to sacrifice on quality. With over 1,800 cars, Europcar Cyprus has the largest fleet on the island of Cyprus. 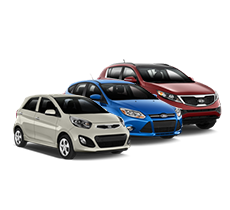 Our automobile options come in a wide range of quality cars to meet all of your needs. From automatic to manual, family car to luxury car, Europcar Cyprus just what you need. Europcar Cyprus has offices in every town, resort, and airport in Cyprus, with experienced staff to help choose the right car rental for your needs. To make things even more convenient, we have desks in both Larnaca and Paphos airports. So you won't need to go far to pick up or drop off your car. We know how precious your time can be, whether you are traveling for business or pleasure. If you don't have the time to collect or return your car to us, we offer a Deliver & Collect service to save you even more time. Do you need to drop off your rental in a different city from where you picked it up? No problem! We also have a One Way Hire option. Having a break down when you are traveling can be a nightmare, but we can put your mind at ease. We offer a 24 hour, 7 days a week breakdown cover island-wide. With Europcar Cyprus, you don't have to worry about waiting for hours to be rescued. We offer only our best services so that we can help you make your journey easier. Protection Options – 3 different packages that offer different levels of protection and reduction of excess amounts. Full Tank Option - Allows you to prepay for gas to save yourself from the task of refueling. GPS/Satnav – For just €10.00 a day you can hire one of our Garmin Satnav systems to your car hire. Additional Driver – An excellent option for long journeys that allows you to share the driving with another person. Europcar Cyprus is part of the ASG (Andy Spyrou Group) family, which is one of the most dynamic forces in the trade and tourism industry in Cyprus. Also, Europcar is highly respected and an international brand you can trust, you are guaranteed to receive the highest quality of committed customer service. At Europcar Cyprus, we are committed to quality customer service, which is why we continually strive to improve our services, including our fleet of vehicles, computer network, premises, and rental stations. No matter where you are traveling you can expect customer care on a global scale. Our years of experience in the travel industry means we know just what you need from your Cyprus car rental experience. We offer a broad range of services that can make your experience unique. Europcar Cyprus has become the most significant car rental company in Cyprus, and our dedication and expertise have made us the rental company of choice for many major tourists organizations, both home and abroad, such as Cyprus Tourism Organization (CTO), and World Of TUI (Europe). Why should you rent a car for your visit to Cyprus? There are so many reasons to choose to hire a rental car for your trip. 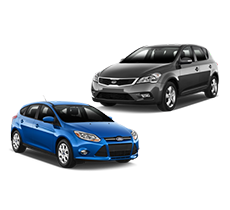 Hiring one of our rental cars in Cyprus can save you money. While using taxi's can be convenient, it can also be costly, and prices can vary or be unexpected. You also run the risk of taxi's not turning up on time or being overcharged because you aren't a local. Hiring a rental car means you have the freedom to go where you want when you want. You can take a leisurely drive in the Cyprus countryside and stop when and where you like to explore, escape and visit the beautiful villages of Cyprus, stop and eat at a newly discovered restaurant, or just admire the beautiful scenery. It also offers you privacy when traveling around the island. Some of the more remote areas you want to visit aren't accessible by bus or taxi, so you would miss out on enjoying these experiences unless you are doing the driving yourself. It can be a bit frightening deciding to drive in a country where they drive on the opposite side of the road. In Cyprus, we drive on the left side of the road, like they do in the UK. This makes driving more comfortable for our UK drivers and there's no awkwardness or confusion when driving around the island. Public transportation isn't always a reliable option in Cyprus. It can be rare to find public modes of traveling and these don't always connect to all of the locations you may want to get to, especially remote areas that you want to explore. Also, the only public transportation available are buses, and these will take you longer to get from point A to B than driving your own car. It's much more comfortable to be traveling in your own hire car than a crowded bus or taxi with no air conditioning. 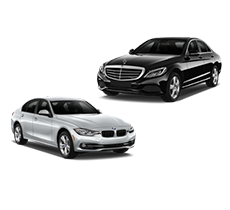 All of our cars are top of the line and focuses on your comfort, allowing you to enjoy your trip fully. Cyprus is one of the safest countries to live and travel around. Renting a car for your trip allows you to visit remote villages and connect with the locals of the area. Driving yourself in a rental car also makes you feel less like a tourist. With our 24-hour roadside assistance and unlimited mileage, you can explore as far and as long as you want, letting you really get to know the island and all that is has to offer. Hiring a rental car from Europcar Cyprus gives you the flexibility and freedom to enjoy different parts of the island and discover new things. Hiring a car from Europcar Cyprus means you won't have to worry about finding taxi's or bus schedules that cut your time short. You can go as early and stay as late as you like wherever you choose to explore. MOVE TO EXPLORE!